a birthday salute . 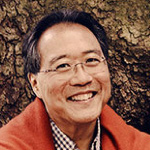 . .
Today is the 60th birthday of Yo-Yo Ma, among the world’s most impressive creative individuals. 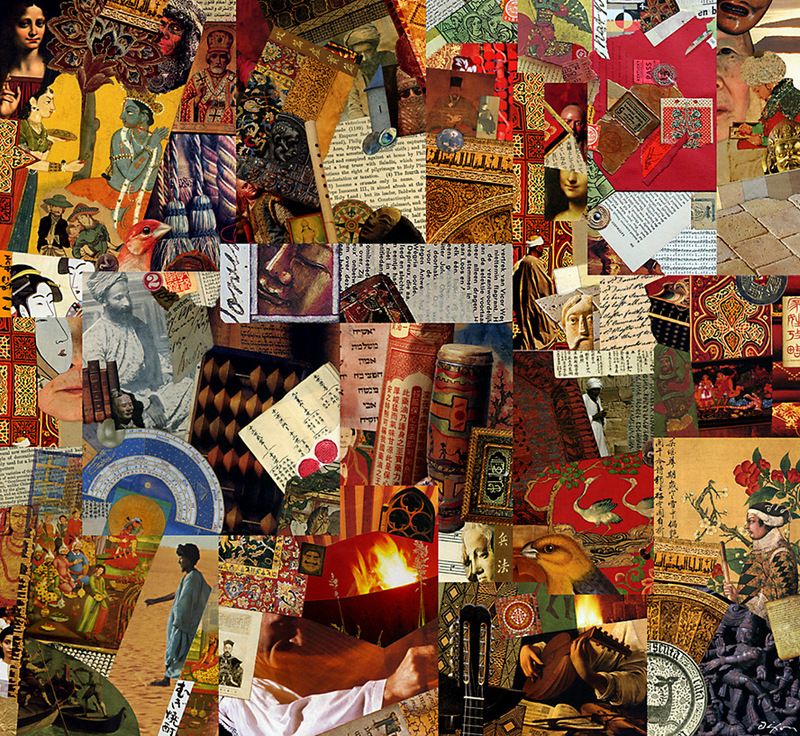 When he brought his Silk Road Ensemble to my hometown in 2013, I was inspired to begin a series of collage poems dedicated to East-West understanding. I can think of no living artist with a greater curiosity for diverse influences, or a wider versatility, fusing cultural traditions with innovative experimentation. Odes to influence, invention, inspiration . . .
A week after finishing my 31-miniatures-in-31-days exercise, which culminated in a “Silk Road” collage series, I am able to look at the month’s output with a bit of perspective. A period of sustained experimentation collided with a catalytic event (attending a performance of the Silk Road Ensemble with Yo-Yo Ma), and suddenly I was off on a ride of intense thematic exploration. I am now able to link the end result to a piece I created seven years ago as a tribute to Kurt Schwitters. I felt strongly at the time that by transcending the individual characteristics of ingredient elements, the totality of a compositional effect could take on a reverential tone. 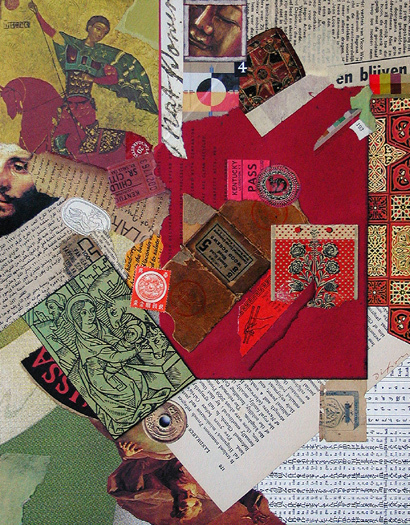 I have nothing against irreverence, satire, or sarcasm in art, but I am increasingly comfortable with the idea that when I step beyond an inspirational experience, my natural tendency is to seek beauty, harmony, and perhaps even “the sacred” in a work of collage. You are currently browsing the archives for the Y-Y Ma category.